An intelligent and otherwise noble race of beings who strive on justice and discipline. 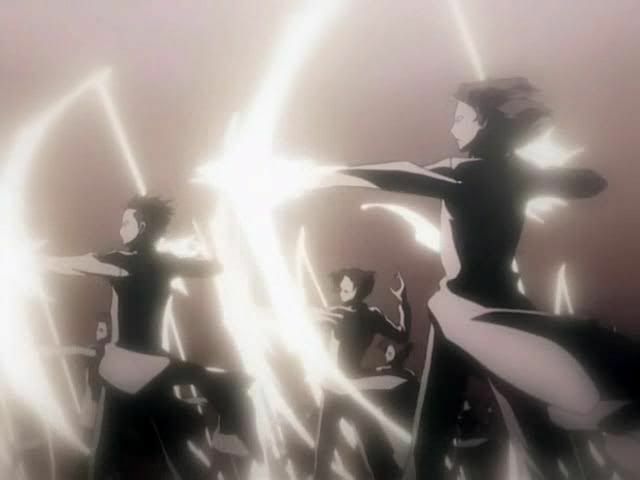 Though they are humans themselves, they have trained for hundreds of years in the spiritual arts and have acquired advance abilities far beyond any normal human including the power to manipulate reishi and manifest a bow composed of spiritual energy. Although not as physically strong as the other races a Quincy is much more spiritually inept and can create and maintain a bow of spirit energy for long durations of time. As well they have the ability to restore their own Reiyoku during a fight should the situation call for it. Generally from afar with their bow but do have slight melee abilities including the Seele Schneider.